The d3 organization has opened registration for its Housing Tomorrow 2016 architecture competition. 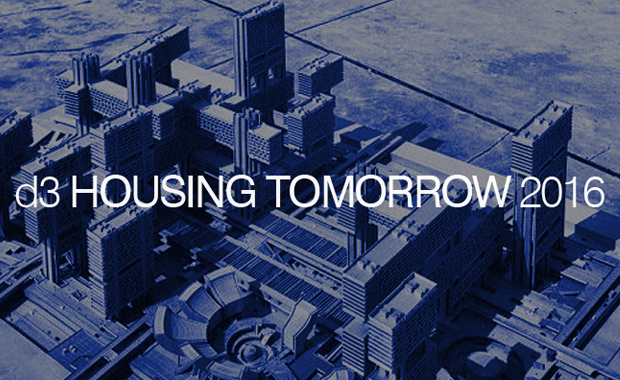 Housing Tomorrow 2016 is open for transformative solutions that advance sustainable thought, building performance, and social interaction through study of intrinsic environmental geometries, social behaviors, urban implications, and programmatic flows. Submissions are judged in two categories. Three (3) cash prizes and several special mentions are available for the best projects. With this Competition, d3 challenges participants to rethink strategies for investigating residential design from macro-to-micro scales ranging from urban—promoting broader physical inter-connectivity; communal—exploiting an interaction of units with shared facilities; and internal—examining the interior particularity of the unit, individual, or family in housing design toward promoting identity, ownership, and intimacy. Designers are allowed the freedom to approach their creative process in a scale-appropriate manner, from large-scale master planning endeavors, to individual building concepts, to notions of the interior realm. Although there are no restrictions on site, scale, program, or residential building typology, proposals should carefully address their selected context. All architects, landscape architects, interior designers, engineers, and students are invited to participate individually or in interdisciplinary teams. The registration fee is $50 (US) per entry.